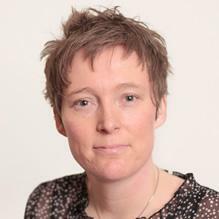 Natascha Basedau is a highly engaging chartered clinical psychologist specialising in psychotherapy. Her areas of special interest include personality disorders, PTSD, challenging behaviour and medically unexplained symptoms. She has experience working with adults, older adults, and people with learning disabilities. Natascha Basedau is trained in both psychodynamic and cognitive behavioural therapies. She has an MA in Clinical Psychology and a post graduate Diploma in Clinical Neuropsychology. Her varied career has given her extensive experience with diverse patient groups including those with personality disorders, post-traumatic stress disorder, and learning disabilities. Her warm and approachable manner is a particular asset when working with issues of later life, including adapting to a loss of functioning, making meaning in older age, and facing the challenges of increased dependency and bereavement. Natascha has presented research internationally on the topic of PTSD, and she is a reviewer both for the Journal of Clinical Psychology and the Old Age Psychiatrist. Natascha offers both short and long term therapies. Chartered Clinical Psychologist (CPsychol BPS). You don't need a GP referral to see Ms Natascha Basedau.